Google Paddypower and you’ll find that Irish bookies are betting 2 to 1 that the pro-choice party wins and the pro-life-after-death prohibitionist party loses. Naturally the losers are screaming to the libertarians for help as their hulk flounders. The same thing happened in 1844. 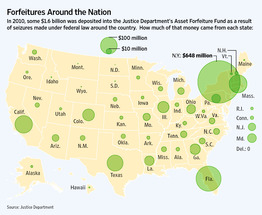 So the Republicans completely destroyed the economy in 2007, yet vow to continue to support civil asset-forfeiture looting. Their platform vows never to repeal such looting, or the kidnapping of military conscription, or the communist manifesto income tax plank of 1848. But they have the gall to whine to libertarians that as comrades-in-arms “we” ought to support their murderous and destructive policies because Creation Science prophesies that the other looters will, in the future, do worse than send federal killers after us for prohibition and cause crashes as in 1929, 1998, 2007, with a flash crash in 2010. With friends like God’s Own Prohibitionists, who needs enemies? Asset forfeiture is armed robbery by police and federal agents. This program was the primary cause of the Crash of 2007 because such looting invariably causes economic depression. These takings were the primary cause of the 1929 Crash and Banking Panics of the Great Depression, as well as the 1987 crash and ensuing Depression. Here are the 2016 asset-forfeiture planks of main political parties. Republican Platform on Asset Forfeiture: Civil asset forfeiture was originally intended as a way to cripple organized crime through the seizure of property used in a criminal enterprise. Regrettably, it has become a tool for unscrupulous law enforcement officials, acting without due process, to profit by destroying the livelihood of innocent individuals, many of whom never recover the lawful assets taken from them. When the rights of the innocent can be so easily violated, no one’s rights are safe. We call on Congress and state legislatures to enact reforms to protect law-abiding citizens against abusive asset forfeiture tactics. Libertarian Platform on Asset Forfeiture: Eminent domain, civil asset forfeiture, governmental limits on profits, governmental production mandates, and governmental controls on prices of goods and services (including wages, rents, and interest) are abridgements of such fundamental rights. BOTH looter parties clearly intend to keep allowing the armed robbery of individuals by police under color of law. They merely cluck their intentions to rob less brutally in the future. Neither party admits the crucial role of such confiscations and takings in precipitating major financial disasters costing trillions of dollars. Only the Libertarian Party of Principle seeks to stop police from acting in the capacity of burglars, robbers and highwaymen–and destroying the national economy in their misguided zeal. Ayn Rand witnessed the Crash and Depression and later wrote: “But when a society establishes criminals-by-right and looters-by-law—-men who use force to seize the wealth of disarmed victims—-then money becomes its creators’ avenger. Such looters believe it safe to rob defenseless men, once they’ve passed a law to disarm them. But their loot becomes the magnet for other looters, who get it from them as they got it. Then the race goes, not to the ablest at production, but to those most ruthless at brutality. When force is the standard, the murderer wins over the pickpocket. And then that society vanishes, in a spread of ruins and slaughter.” Milton Friedman also witnessed the disaster and in Free To Choose noted that the Socialist platform of 1928 became law, despite their getting almost no votes. Just today an elderly Brazilian couple in their seventies unable to speak English wrote to ask for bank statement translations, why? Because US Customs agents stole their life savings under civil asset forfeiture and they must now prove themselves innocent by deadline after deadline, for the looters allow no appeal rights. If they miss a deadline they lose their life savings. I referred them to the Institute for Justice. By voting libertarian I am proudly multiplying the power of my vote to repeal bad laws and protect individual rights. Why not join me for a change? Translation services, and my Brazilian blog. Por que cargas d’água estão pedindo o impedimento da Presidente? Será que é para atender às embaixadas dos grandes países, o interesse da banca e a miserável fisiologia que domina o Congresso Nacional? Em 2005 a agente americana Liliana Ayalde foi expulsa da Bolívia por espionagem. Em maio de 2010 Bradley Manning vaza no Wikileaks informações sobre como os americanos usam a ONU para exportar o mesmo proibicionismo saqueador de ativos que demoliu a economia americana em 2007. Em 31 de outubro de 2010 a presidenta Dilma foi eleita, com posse em 2011. Em junho de 2012 o presidente Fernando Lugo do Paraguai foi deposto por impeachment. Em 20 de maio de 2013 Edward Snowden revela que espiões americanos escutam as chamadas telefônicas dos cartolas e políticos brasileiros, entre outros. Em junho de 2013 eclodiram as manifestações americanizadas no Brasil. Em 1º de agosto de 2013, Dilma assinou a Lei 12485 que inclui profilaxia contra gravidez e perícia de DNA para identificar estupradores ou pais biológicos–mesmo se importantes e abastados–donos de trustes ou contas bancárias na Suíça. Nesse mesmo dia 1º de agosto de 2013 o senado do grande país americano, dominado pelo partido republicano evangélico e antiaborto, confirmou Liliana Ayalde como embaixadora dos EUA para o Brasil! Ayalde chegou ao Brasil no dia 16 de setembro de 2013, mas apesar dessa Exterminadora, a presidenta derrotou o Aécio Helipóptero, amiguinho do ex-diretor da CIA, George Bush pai, e foi reeleita. A Portaria 415 foi revogada a mando do Eduardo Cunha em 28 maio de 2014! Em 4 dias o Bispo do Nacional Socialismo arrastou o Brasil de volta à Idade das Trevas, para acompanhar as ditaduras maometanas–antes de ser expulso do Congresso. Consta que Ayalde foi embora com o golpe em andamento, mas voltou, quiçá para tentar salvar o Cunha. A presidenta eleita por maioria em 3 eleições foi golpeada em 30 de agosto de 2016 pelos aliados do Cunha. Pois é… Vai que foi tudo coincidência. Ralph Nader’s Green spoiler votes in the 2000 election added up to 5 times the difference between winner and loser in the popular vote count. Victorious, George Waffen Bush dedicated his entire second term to ramping up federal-state asset forfeiture “sharing” in the proceeds of prohibitionist armed robbery. 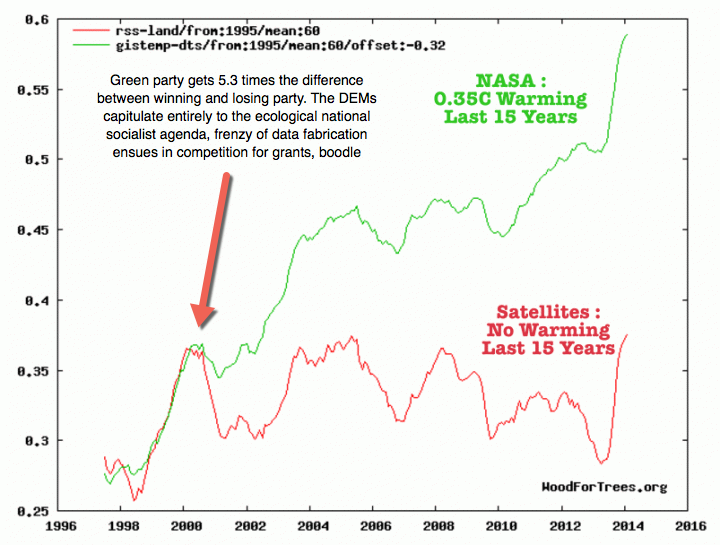 Green Party ideologues meanwhile ramped up the DEMs’ approach to climate data forgery. The result is shown in the graph. This illustrates the effect of two main drivers: parasitical greed coupled with social pressure affecting opinions among the gullible majority, and the impressive power of small-party spoiler votes. The Solomon Asch experiment proved that 3/4 of educated Americans will lie simply to follow the crowd. Indeed 2 out of 3 people will lie consistently out of simple simian mimicry. To start the ball rolling the DEMs had only to point to the Creation Scientists shaping Republican ideology. Anyone can observe in that the dangers of mindless mysticism exercising social pressure. Such pressure invariably justifies sending men with guns to brand citizens as felons–and shoot a few for good measure–over something as banal as hemp. With the GOP clearly dominated by violent superstition, the fakes and ex-scientists, by comparison, look like champions of scientific methodology. This was precisely what happened from 1919 through 1933. Back then it was beer (a felony) that justified shootings, asset forfeiture and mass-jailing of the population. The losing party pushed the Kyoto protocol as a mechanism to transfer money from industrial nations to communist dictatorships, and from private enterprise to academic parasites. In 1892 a Populist vote 6 times the gap between the winning and losing party vote tallies enabled three looter Congressmen to enact Communist Manifesto plank 2 into federal law and use the that tax to exacerbate financial collapse into a lengthy depression. This was how the 2000 election results allowed fanatical prohibitionist mystics to again destroy the economy, while environmental totalitarians impressed grants and subsidies parasites into an army of data-falsifying political operators. This sort of thing always happens in any contest between two factions, both of which lie, steal and coerce as a matter of preference. Both the Dem and GOP believe in taking by force what does not belong to them. THIS is honesty? 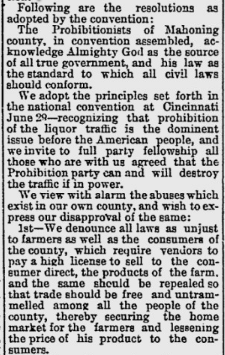 Here is a sample of Prohibition Party rhetoric from 1892, before their complete takeover of the Republican Party 40 years later. Note the resemblance to Mohammedan Sharia Law. The Youngstown Vindicator, July 5, 1892 1… GRAVE CHARGES–Made by the Prohibs in their Convention–THEY DENOUNCE THE SPOILSMEN–… Following are the resolutions as adopted by the convention: The Prohibitionists of Mahoning county, in convention assembled, acknowledge Almighty God as the source of all true government, and his law as the standard to which all civil laws should conform. This religious government party achieved a record 2.2% of the popular vote in an election the Democrats won by a mere 3.3%. This made the T-totalitarian Sharia Law vote a force to reckon with in that election. The People’s Party, pressing for the Communist Manifesto income tax, won 8.51% of the vote. That amounts to 2.5 times the difference between winning party and losing party. To give you an idea of the power of these third-party votes, within two years that looter party’s income tax was the law of the land, though no such tax was in the platform of either Kleptocracy party in 1892. 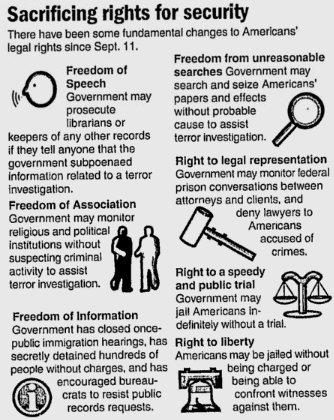 In another 27 years Prohibitionist Sharia Law would be enshrined in the US Constitution alongside Communist Manifesto plank 2–much to the detriment of the Bill of Rights. These two usurpations, the communist 16th and the protestant 18th Amendments directly caused the complete collapse of the national economy into a Great Depression of Hoovervilles. Just as in the 1920s and 30s, when fanatical mystics used the violence of law to make light beer a felony, dry killers murdered children and adults, their impunity guaranteed by mock trial just like today. The glucose and yeast trust funded prohibition to eliminate distillers, vintners and brewers as middlemen. Today the booze trust, organized fanaticism and corrupt political soft machines inflate and recycle confiscated drugs and other assets into campaign coffers. Your Libertarian vote–worth five to forty regular votes in law-changing clout–can stop the berserkers and restore peace and freedom. Which will it be? Actual change or another wasted vote? The Solomon Asch Experiment proved with the finality of a physics lab that 3/4 of educated Americans will lie about the length of a line just to go along with a crowd. That makes them easy prey for Republicans, Democrats and other coercive demagogues. This measured aspect of ordinary human nature makes it all the more crucial that those able to reason by reality exercise integrity and judgment in voting and discussing platform planks. Only one in four individuals is resistant to the influence of social pressure in overriding objective individual judgment. 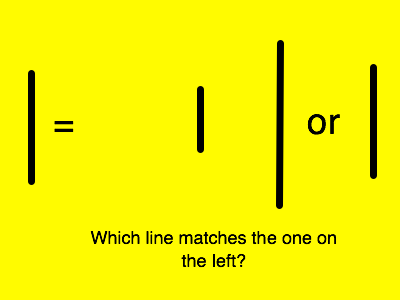 The experiment asked an individual to say which of three lines matched an original line off to the side. With no prompting, booing or hissing, three out of four ordinary college students lied rather than tell the truth to make their answer like everyone else’s. Two out of three do this consistently on average. The same experiment also proved that a lone dissenter was enough to improve objectivity of choice by a solid 25% (p. 6). Every time I vote libertarian I am mathematically certain that I am changing bad laws 6 to 36 (or 10,000 as in 1972) times as effectively as the same-old-kleptocracy alternative. When others puzzle at my bumper sticker or see my previous LP votes recorded in history, they will shed 25% of the cowardice that keeps them from passing independent judgment. This spoiler vote effect is a win-win situation for me, just as opposing the libertarian platform planks is a lose-lose proposition for prohibitionist kleptocracy candidates. Libertarian candidate Gary Johnson (just one among the hundreds of LP candidates running in this election) is now polling HIGHER than the entire US Congress! 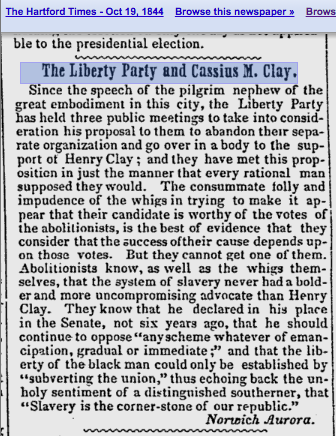 The Prohibition Party sets the agenda for the GOP, and the Communist Party USA sets the agenda for the Democratic Party. Visit their websites and see. There is but one nonviolent way to counteract their social pressure guiding application of the force of law as deadly coercion. That option is to support the political party that defends individual rights rather than drink the cyanide Kool-Aid altruism pushed by stale ideologies of Left and Right. Are these the people you want making decisions about government use of force on YOU? Isso de decidir com mente alheia em português chamamos de “efeito manada”. If this helped you understand how bad policy decisions are made, remember that next time you need a translator. Enabling Act in 1927 America meant legislation allowing a municipality to choose the jurisdiction of a neighboring county. The following year, the Republican Party adopted a War on Drinks plank. By its decision to carry out the political and moral cleansing of our public life, the Government is creating and securing the conditions for a really deep and inner religious life. The advantages for the individual which may be derived from compromises with atheistic organizations do not compare in any way with the consequences which are visible in the destruction of our common religious and ethical values. The Government will treat all other denominations with objective and impartial justice. It cannot, however, tolerate allowing membership of a certain denomination or of a certain race being used as a release from all common legal obligations, or as a blank cheque for unpunishable behavior, or for the toleration of crimes. [The national Government will allow and confirm to the Christian denominations the enjoyment of their due influence in schools and education.] And it will be concerned for the sincere cooperation between Church and State. The struggle against the materialistic ideology and for the erection of a true people’s community (Volksgemeinschaft) serves as much the interests of the German nation as of our Christian faith. …The national Government, seeing in Christianity the unshakable foundation of the moral and ethical life of our people, attaches utmost importance to the cultivation and maintenance of the friendliest relations with the Holy See. …The rights of the churches will not be curtailed; their position in relation to the State will not be changed. After Christian Nationalists in America began violently meddling in the ruins of the Ottoman Empire, religiously devout persons no less fanatical attacked The Pentagon and civilian buildings. The result of U.S. voting by people who rejected libertarian non-aggression was the same as in Germany, where voters preferred folksy Bible-quoting politicians to non-violent “liberals.”** Buildings were soon ablaze with jet fuel and fiery patriotic sentiment, and the Enabling Act was enlarged and recycled into the Patriot Act.. The Bush Jr. Administration even threw in a 1929-style Asset-Forfeiture Crash and Depression, to round out the picture. This was the result of expanded search-and-seizure powers becoming a license to loot under law as interpreted by the Kleptocracy and its courts. Mass wiretaps and surveillance, star chambers, kidnapping pens in Communist Cuba–all or these things are the result of fanatical mysticism grabbing the helm of government. American voters will, in November, have the opportunity to vote for freedom and against isolationist policing of foreign sovereignties. The rest of the world is waiting for our example. ** Liberal in German parlance at the time meant a watered-down form of mixed-economy libertarianism, as in dictionaries today. Hitler’s party made the word an epithet which the defeated GOP picked up and began hurling in 1932. To this, communists and socialists responded with whoops of joy! For intelligible translation or fluent interpreting in many subject areas in Spanish, Portuguese and English, get in touch.